It’s not a question if, it’s a question of when. 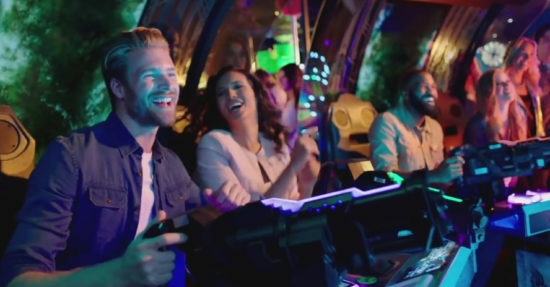 Microsoft has just announced the release of Halo: Fireteam Raven which is described as an “interactive arcade experience” in all Dave & Buster’s in the US. Be assured Canadian Halo fans, this is coming soon to Canada! Microsoft is attempting to bring arcade style gaming back into the mainstream and this Halo experience may just prove a smashing success. This is a 4-player game where players sit and take ahold of an authentic looking assault rifle and shoot things on the 130-inch wide display that also happens to be 4K. To make this a true next generation arcade gaming experience, Microsoft has brought in some new ideas that should cater to the modern day gamers out there. Everything these days is about achievements and tracking progress. Halo: Fireteam Raven allows players to log into their Xbox Live account and track their performance and earn rewards. This brings together everyone on the planet who is playing this game because Microsoft is also launching official leaderboards on Halo Waypoint. The game itself is based on the original Halo game which is considered by most to be the best of all Halo settings. The game was developed by Raw Thrills and Play Mechanix in a partnership with 343 Industries. The game is set during the events of Halo: Combat Evolved in 2552 and includes six different levels. The actual playtime is not yet known, but be assured the game will be challenging and money sucking. Microsoft has assured everyone that the rollout of Halo: Fireteam Raven will be taking place over the next 60 days, with more countries being added on a weekly basis. With Canada being so close to the US, let’s hope for news soon. Seems like a great fit for Microsoft stores! As details emerge we will be updating this post!